Inspired by my wife, who also blogs on here about very different stuff, I thought it would be fun to try different types of posts on different days. Since I’m interested in astronomy and I’m not any kind of expert, I thought it would be fun to share my opinions on certain things that are happening out there in this corner of the world of science. The James Webb Space Telescope has been a source of a LOT of heated debate in the past couple years, but not simply over its value (well, kinda) as our next-generation eye into space. Instead, it’s all about the Benjamins. 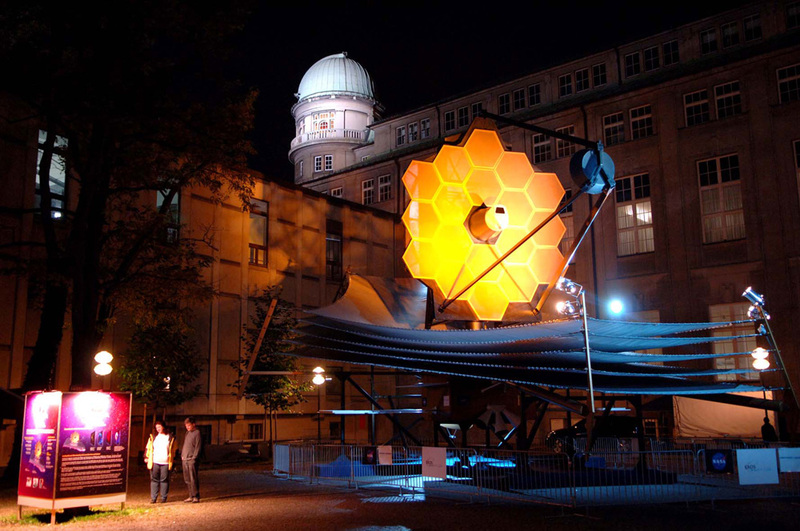 I attended a lecture at NEAF this past April on the JWST with Heidi Hammel, so I’ve heard a thing or two on this subject from the proverbial horses mouth. She’s on the team and even she had some conflicts about the monetary scale of this project. What it comes down to is this: the JWST was originally predicted to cost something like five billion dollars, and a few years in, it became very clear that that estimation was WAY off. From everything I’ve heard and read, the common explanation for how the numbers got fudgier than a seaside candy shop is that the usual fudgery that gets fudged wasn’t enough to cover the expected cost excesses. So, they usually build a budget to include a certain amount of overruns on any project, but somehow screwed that part up when planning one of the most expensive single science missions ever. In the end, even if they had done it right, it would have still blown the over-estimate out of the hangar by the time things got really dicey. Add in our current political circus, which is being played out by cutting funding to everything that seems to matter to anyone that has a net worth below $10M, and you have a very large target within an agency that is already under more scrutiny than seems reasonable. Just this week, to my sincere surprise, congress approved JWST funding with a 2018 launch date. They did not, however, say where it’s coming from. This is where the opinions come in. Since it seems like a disheartening certainty that any funding will come from outside of NASA’s existing budget, some things are going to suffer if JWST is ever going to launch. I want a base on the moon. I want men and women on Mars. I want detailed exploration of Europa and Titan. Heck, I want more ground based particle accelerator science. But more than these things, for this coming decade, I want JWST to fly. Hubble has done wonders for public interest in not just astronomy, but science in general. We now have a vision of our corner of space we couldn’t have had otherwise, and let’s face it, we’re visual creatures. We see things and they become real to us, it’s how we’re wired. JWST will show us things at a level nobody has seen yet and can barely even imagine, which in 2011, is a lot to say. Plus, we don’t have to wait years for it to reach its target, which is an unfortunate reality for most planetary science missions. Those missions will still happen too, but with JWST in the sky, we get not only a lot of other science done while those are developed, but we open the world’s eyes to the beauty and majesty of space and all those crazy things floating around in it. Science needs all the good PR it can get right now and I think this is the best way to get it. In the end, I see this as an investment that pays off HUGELY in the long run. In a more ideal world, no NASA project would have to get cut, but we’d also put a few bucks toward our nation’s education and everyone would accept evolution, so it’s pretty obvious we’re not living there just yet. JWST is big, bold, risky and exactly what I think we need.